For Mechanicstown drivers who are looking for a true family vehicle, the always-popular Honda Pilot delivers. The updated 2013 model proved so successful, in fact, that the 2014 model is completely unchanged. You can find both the 2013 Honda Pilot and the 2014 Honda Pilot at Middletown Honda, the Mechanicstown area’s preferred Honda dealership. Read here about both models, and decide which one is right for your family. 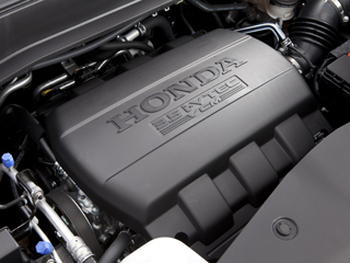 Both the 2013 and 2014 Honda Pilot are available in four trim levels that rely on the same engine. The 3.5L V6 under the hood produces 250 hp and 253 lb-ft of torque — enough power to get the job done, but not so much that it hurts your fuel economy. That is why a 2014 Honda Pilot equipped with front-wheel drive can achieve up to 18 mpg in the city and 25 mpg on the highway* while still being able to tow 2,000 pounds. All-wheel-drive models can tow as much as 4,500 pounds. The numbers for the 2013 model are similarly impressive. The standard transmission for both the 2013 and 2014 models is a five-speed automatic. All trims come standard with front-wheel drive, but drivers can upgrade any Pilot to all-wheel drive. 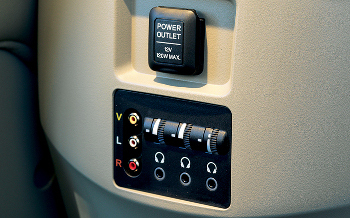 In all-wheel-drive models, as much as 70% of power is shifted to the rear wheels if the front wheels begin to slip. Drivers can also select a feature that routes maximum torque to the rear wheels in first and second gear to help get the vehicle unstuck. During winter storms, that can come in really handy. Both the 2013 and 2014 Honda Pilot come standard with the kinds of features that drivers expect, and a lot that they would have to pay extra for in other models. The base model — the LX — comes with tri-zone automatic climate control, a rearview camera, and Bluetooth connectivity, which you can use to play your favorite songs through the seven-speaker sound system. The next trim — the Pilot EX — adds foglights, heated mirrors and an eight-way power driver seat with extra lumbar support. If you plan to do a lot of driving, around Mechanicstown or elsewhere, these are features that you’ll grow to love very quickly. With the Pilot EX-L, you will sit on leather upholstery, have access to a sunroof, and listen to satellite radio. 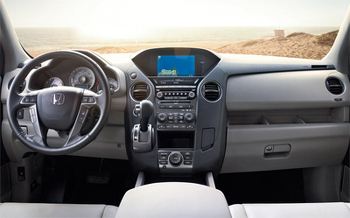 Drivers can also add an optional navigation system or rear entertainment package. If you have kids, being able to put on a DVD really helps make the miles melt away. The top-of-the-line Touring trim offers everything available in other trims, as well as roof rails for extra storage, parking sensors that make getting into even the smallest spaces a breeze, a 115-V power outlet, and a premium sound system. The unique dimensions of the Honda Pilot gives drivers seating for eight without making the vehicle feel like an inflated tank. When you are driving in the city, this smart use of space is a huge asset. The body features Honda’s signature grille and a boxy design that emphasizes utility rather than sleekness. The interior was designed to be convenient, functional, and adaptable. The dashboard is uncluttered, there are plenty of storage spaces, and each one of the seats offers ample headroom and legroom. With the second and third rows of seats folded down, you have 87 cubic feet of cargo space to work with, and thanks to the straight lines of the body, it is easy to pack and haul just about anything. 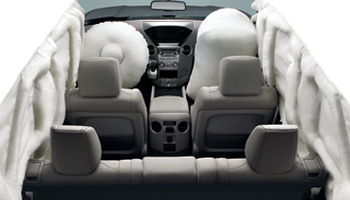 In the event of a collision, everyone is protected thanks to front and full-length side curtain airbags. Plus, with anti-lock brakes and stability control, you can better avoid accidents and help manage the challenges of driving with a trailer or a heavy load. The Insurance Institute of Highway Safety gave the 2013 and 2014 Pilot the rating of “Good” in frontal-offset, side-impact, and roof-strength tests. You can find the 2013 and 2014 Honda Pilot at Middletown Honda, but if you purchase the current model. You can’t go wrong with either model year! To see the Pilot in person and take it out for a spin, plan a trip from Mechanicstown to take a test drive at Middletown Honda in Middletown, NY.